Learn about the value of social and collaborative learning. Learn how written, audio, and video online tools foster collaborative learning, as well as teacher collaboration. 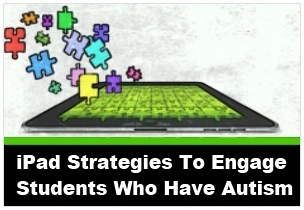 Develop proficiency in the use of specific online social learning tools. Continuing Education Unit credits (3) approved. Digital learning and the use of online learning tools have the potential to significantly enhance student interaction and collaboration. There is no question that the development of the internet and social networking in the last decade has changed the way in which students learn, and potentially the way in which we teach. The trend toward wired classrooms, laptop environments, bring your own device venues, and iPad and/or Chromebook classrooms have opened up a vast resource of possibilities to more effectively engage our students in collaborative learning processes – to greatly enhance their classroom experience and to enable them to generate their own learning beyond the classroom. This course presents a user friendly collection of online tools that include platforms that allow students to communicate online in writing, audio tools that enable them to speak and listen to each other, polls that facilitate crowdsourcing, social media that extends the learning community beyond the classroom walls, and a learning management system that helps teachers and the students organize and implement quality learning. Participants will use these tools in their own learning, and will practice utilizing them in hands on activities throughout the course. Whenever a new tool is introduced, a screen cast provides step by step guidance on you how to use the tool. In addition, methodologies are presented that turn the tools into powerful catalysts for collaborative learning. The course also examines ways in which digital tools can help teachers better monitor and assess student progress, and build valuable instructional rubrics. This course examines the efficacy of collaborative learning, a method that is viewed by leading educators as one of the essential 21st Century education skills. This course has been approved by the University of the Pacific for Continuing Education Unit credits. Discover the value of social and collaborative learning. Practice using written, audio, and video online tools to foster collaborative learning, as well as teacher collaboration. Be shown how to utilize the tool. Become familiar with methodologies that turn the tool into a powerful instrument for collaborative learning. 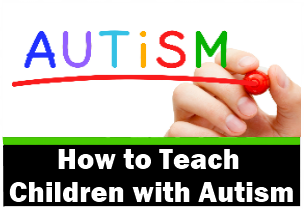 Explore ways in which the use of the tool can be applied in their own classroom instruction. Discover how the use of social media can be used securely to enhance social learning by expanding the students’ learning community. Be shown how an LMS can be used to organize student learning and promote student and teacher collaboration. Explore how the use of online tools can provide opportunities for alternative assessment and for the use of instructional rubrics to enhance student learning and the monitoring of student progress. Appreciate the benefits of online learning for students, and its efficacy in meeting your curriculum. Understand Vygotsky’s theory of social learning and its implications regarding collaborative learning. Understand the efficacy of online tools for promoting collaborative learning in the classroom and teacher collaboration. 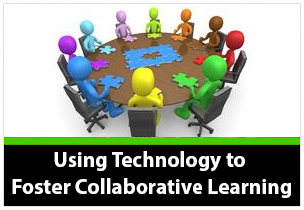 Appreciate the value of online collaborative learning for developing 21st Century skills. Know techniques and best practices for creating an online learning community that supports collaborative learning. Develop proficiency in the use of specific online social learning tools such as Linoboards and Google Drive (including Google Docs, Google Forms, and Google Presentation). Develop proficiency in the use of online audio tools such as, audioBoom, Voki, and Record mp3. Be familiar with methodologies and best practices for promoting collaborative learning using the aforementioned online tools. Understand how instructional rubrics help to guide students in collaborative learning, and to provide a framework for evaluation of student work. Develop proficiency in the use of RubiStar4Teachers for creating instructional rubrics. Know how to create effective instructional rubrics. Develop proficiency in the use of Learning Management Systems (LMS), such as the Wiki LMS and the Digital Learning Tree LMS. Understand the efficacy of using a learning management system to organize student collaborative learning and to foster teacher collaboration. 1. Getting to know you – Online icebreakers. 3. Collaborative discussions – Using polls and icebreakers. 4. Guiding collaborative learning – Instructional rubrics. 5. Social bulletin boards – The Linoboard. 6. Crowdsourcing – Creating surveys. 7. Netiquette – Rules of engagement. 8. Monitoring and assessing student work.